The use of Russian Soft Power and propaganda for the purpose of realizing foreign policy objectiveshas become increasingly noticeable in different parts of the world. 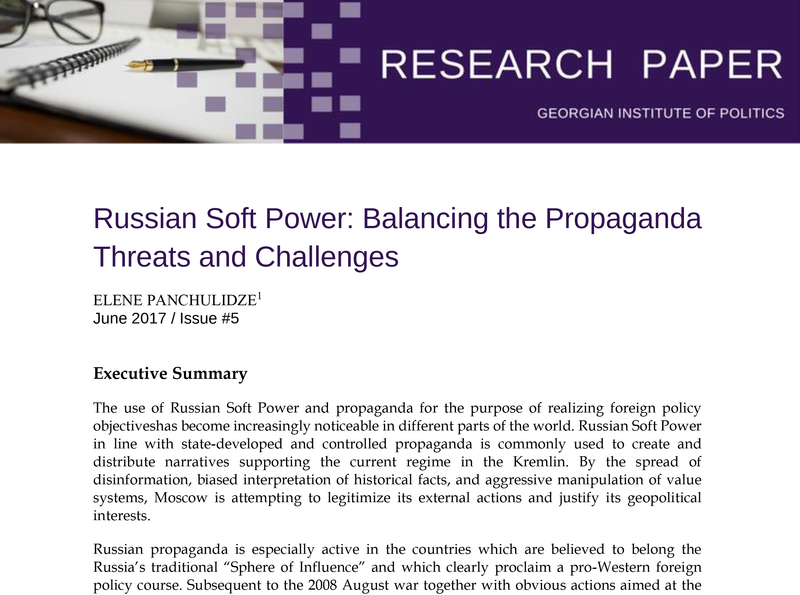 Russian Soft Power in line with state-developed and controlled propaganda is commonly used to create and distribute narratives supporting the current regime in the Kremlin. By the spread of disinformation, biased interpretation of historical facts, and aggressive manipulation of value systems, Moscow is attempting to legitimize its external actions and justify its geopolitical interests. Russian propaganda is especially active in the countries which are believed to belong the Russia’s traditional “Sphere of Influence” and which clearly proclaim a pro-Western foreign policy course. Subsequent to the 2008 August war together with obvious actions aimed at the annexation of Georgian territories, Russia is dynamically using disinformation and propaganda to hinder Georgia’s Euro-Atlantic integration processes. Obviously, the threat that has become a challenge for Europe and the United State is a major problem for Georgia as well. In 2017,within the Strategic Defence Review 2017-2020 and the Communication Strategy of the Government of Georgia on Georgia’s EU and NATO Membership for 2017-2020 the Government of Georgia officially labeled Russian “soft power” as athreat to Georgia’s national interests, particularly by hampering its Euro-Atlantic integration efforts.Nevertheless, the fight against Russian Soft Power and propaganda remains a significant challenge for Georgia on its path toward deepening relations with the West. The present policy document is aimed at reviewing and analyzing the foreign policy objectives of Russian soft power and evaluating steps taken by the Georgian government to combat it at the national level. 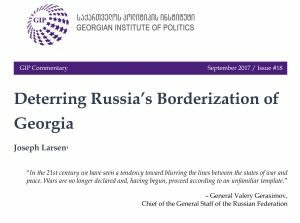 Additionally, this document offers concrete recommendations for reducing the influence of anti-Western propaganda on Georgia’spopulation and extensively enhance the country’s strategic communication capabilities.